Some 2,500 years ago a Chinese prophet and keeper of the Imperial archives in the capital city of Luoyang grew weary of the continual warring factions of his time. He decided to leave them all behind and journey into the desert. A gate keeper named Yin Hsi recognized the wise man, Lao-tzu, and implored him to write the essence of his knowledge for spiritual living before disappearing into the wilderness. The wise man left behind 81 verses known today as the Tao Te Ching. During this summer of political turbulence, senseless violence, fear, hatred, lies, mob hysteria, and relentless war, I’ve sought peace in returning to the simplicity of the Tao Te Ching. Passed down through the centuries, translations abound. Two of my favorites are from Stephen Mitchell and another from Wayne Dyer entitled Living the Wisdom of the Tao. Both offer a mental retreat from the chaos of the daily news. Although formless and intangible, it gives rise to form. Although vague and elusive, it gives rise to shapes. I have three treasures which I hold fast and watch closely. you must follow the Tao. In an age where everyone appears to be an “activist”–marching, yelling, posting, and tweeting–the Tao Te Ching offers a perspective toward finding a healthy balance. If you’re seeking mental clarity and calm during this calamitous season, pick up a copy of the Tao Te Ching and take a long walk in nature. I’ll see you there! In June of 2015 I uncharacteristically spent over $2,000 to attend a Hay House Writer’s Conference on Maui featuring Dr. Wayne Dyer. An inner urgency compelled me to pony up the money on what felt like a very frivolous expenditure. I fought the impulse for quite a while and finally gave into the internal nagging and bought the tickets. Would I meet someone special? Would there be a career-making encounter? Upon reflection these months later, the weekend was a soul-inspiring event when “you had to be there.” Wayne Dyer and Hay House President, Reid Tracy, sat in two comfy wingback chairs and casually chatted. Wayne was seventy-five years young. Truly, he seemed ageless. He was brilliant, funny, and wise, which you might expect from a man who’d been a celebrity for over 40 years. What I didn’t expect was his kindness and connection to people. Most of us build an invisible protective barrier around ourselves. It’s our natural state. We don’t look strangers in the eye. We fear intrusion into our personal space. Somewhere along the line, Wayne Dyer dropped his barrier. He embodied the meaning of “Namaste” ~ I bow to the Divine in you. He appeared to actually see the Divine spark in each individual. I wondered as I left the conference, How did he reach that level of awareness? It made a profound impression on me. As did his unexpected passing a few weeks later on August 29th. 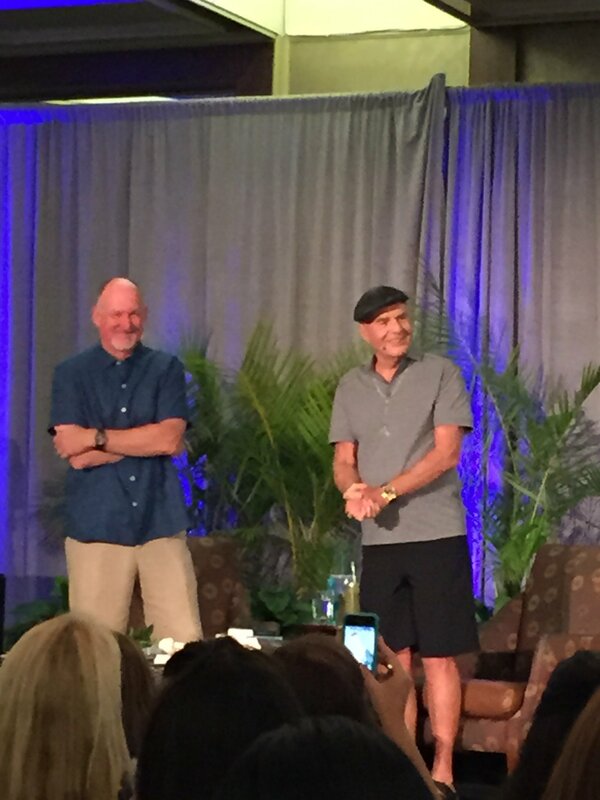 As it turned out, that conference was my last chance to be in the presence of Wayne Dyer in this lifetime. After his death, Hay House provided deep discounts on his books and I purchased both the ebook and audio version of his autobiography, I Can See Clearly Now, which was his last solo manuscript. It sat in my library several months, but I recently finished listening to Dr. Wayne recall the events that molded his life. I’d heard some of the stories at the conference, so it was like being in his presence again to hear the recording. Wayne wasn’t born a spiritual guru, although he was always brilliant and different from the pack. But he had his issues. He harbored deep anger and resentment toward the absentee father he never knew. His ego-driven early years brought success, but also stress and alcohol dependency. Yet, he always worked at improving himself. “I am a teacher” was his over-riding life theme. In the 1970’s he brought pop-psychology to the masses with the bestselling book of the decade, Your Erroneous Zones. In the course of his life, he lectured around the world, helping people find their highest selves. His forty-one books were all hand written on legal pads and most hit the New York Times bestseller lists. He raised over 200 million dollars for Public Television through nine specials that he personally promoted at stations all across the country. Those are the big achievements, but the most compelling parts of I Can See Clearly Now are the “Divine appointments.” Time and again, Wayne relates “lucky breaks” and “chance meetings” that changed the course of his life. Even his worst setbacks turned into learning and growing experiences. Besides being a great teacher, Wayne was a great seeker of truth and wisdom. That compulsion led him from philosophers like Thoreau to psychologists like Karl Jung and ultimately to great spiritual mystics–Christ, St. Francis, Lao Tzu, and Rumi. Wayne walked up a ladder of spiritual awakening his whole life. Wayne received fame and fortune, but his focus was often on giving time and attention to others. At home, he fathered eight children, who obviously delighted him. After reading an article about a woman who been caring for a comatose daughter for twenty years, he sought her out and became a life-long friend. At one of his appearances he noticed a compelling African woman in the crowd and knew he needed to learn her story. Her name was Immaculee Ilibagiza, and she survived the massacres in Rwanda hiding in a bathroom with seven other women for 91 days. Wayne Dyer followed his internal guidance and encouraged her to tell her story to the world. He mentored and promoted her. He even gave her the title for her book, Left to Tell, which became a bestseller. A few years later, he read an amazing story of healing on a chat room website and contacted the young woman, Anita Moorjani, who had come back from near death with great spiritual insights. Once again, his intervention resulted in an inspiring story and message going from obscurity to global recognition. Moorjani wrote the bestseller Dying to Be Me and lectures around the world. Dyer was a living example of generosity in his personal and private life. By the end of his life, Wayne Dyer had made peace with his greatest struggles. He walked in High Awareness, listening to Spirit and reaching out in compassion to everyone he encountered. I can see clearly now that attending that conference gave me a wonderful example of one person who figured out how to live a life of passion and purpose. I don’t think Dr. Wayne died, but rather ascended. He lived out his dharma and moved on. After his ashes were cast into the ocean, his family snapped a picture of the sea. If you look carefully, you’ll see the last “impression” of Wayne Dyer. I Can See Clearly Now is an inspiring testament of a life well-lived. Summer closes; fall opens with a sigh. 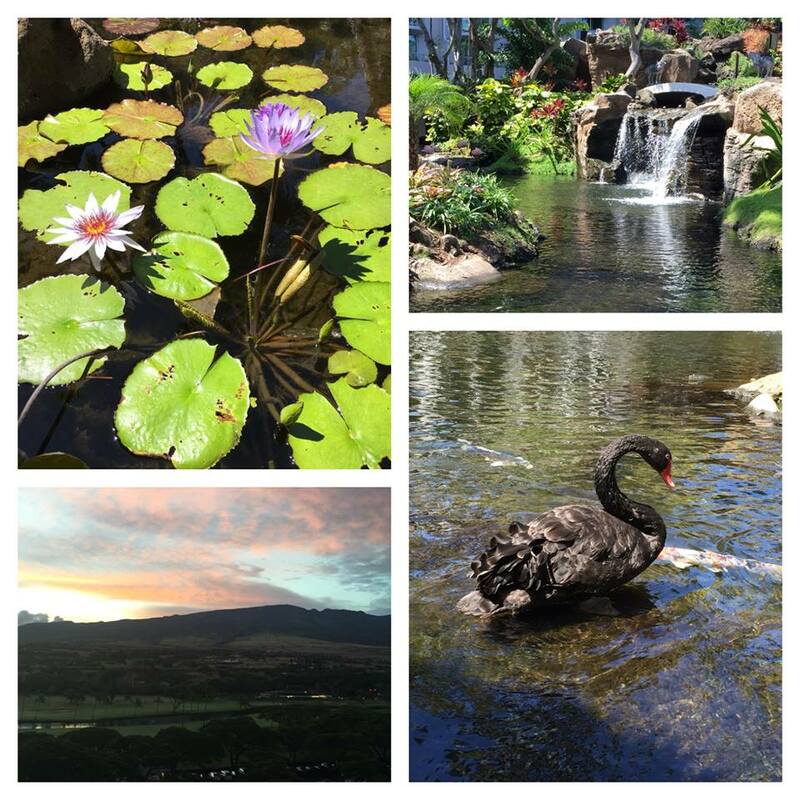 My summer was filled with activity, travel, children, and “real magic.” It began with a writer’s conference on Maui featuring the president of Hay House Publishing, Reid Tracy, and Dr. Wayne Dyer. I grappled several weeks about spending the big bucks to attend. After all, at this point I have no dreams of becoming the Next Big Hay House Author. Too much work building platforms and pursuing fame and fortune. Who needs it? Yet, Spirit kept nudging go, go. True, I’d enjoyed a couple Wayne Dyer books. I admired his ability to make complicated esoteric ideas user-friendly for the common person. Go..go. Fine. I made all the arrangements, put it all on the plastic, and got over the guilt. Maui, here I come! The hotel was GORGEOUS. A waterfall in the open air lobby, complete with black swan and orange koi. An elegant room to myself, balcony view of volcanic hills and the golf course. Magical sunrises. The “real magic” came in the form of Wayne Dyer. Seeing him in person for 48 hours as he chatted with Reid Tracy was a once-in-a-lifetime experience. Dyer had been on the self-help, spirituality forefront for over forty years. Author of over 40 books, lecturer, talk show favorite. Despite all that “celebrity,” Dyer evolved into a man of wisdom, wit, and love. Though always gifted with charisma and a brilliant mind, Dyer struggled with anger and alcoholism. He shared the pivotal moment when he found the grave of the father who had deserted his family. The date was August 30, 1974. A spiritual epiphany settled on Dr. Wayne about the man who had fathered him and he experienced profound forgiveness. It changed Everything. Forty one years later, on August 30, 2015, Wayne Dyer slipped out of his corporeal body in the night, his earthly mission completed. A group of us have bonded that attended the June workshop, now knit tighter with the realization we were among the last groups to experience Wayne Dyer on the planet. His message continues through books, audio, and videos. I’m reading Real Magic, a book he claimed was largely channeled material. Hay House is currently offering a free viewing of the short film My Greatest Teacher, based on Wayne’s relationship with his father. His Hay House books are being offered at bargain prices. I will remember a man who exuded Love. He recognized the sacred spirit in everyone he met. He hugged strangers, brought them home, kept pictures of their children. He reached a level of humanity few achieve, as most of us live in fear of others. We keep our shields up. Dr. Wayne had dropped all the shields. He showed us the possibilities of living an Awakened Life. After that inspirational weekend, I’ve spent the summer enjoying everyday. 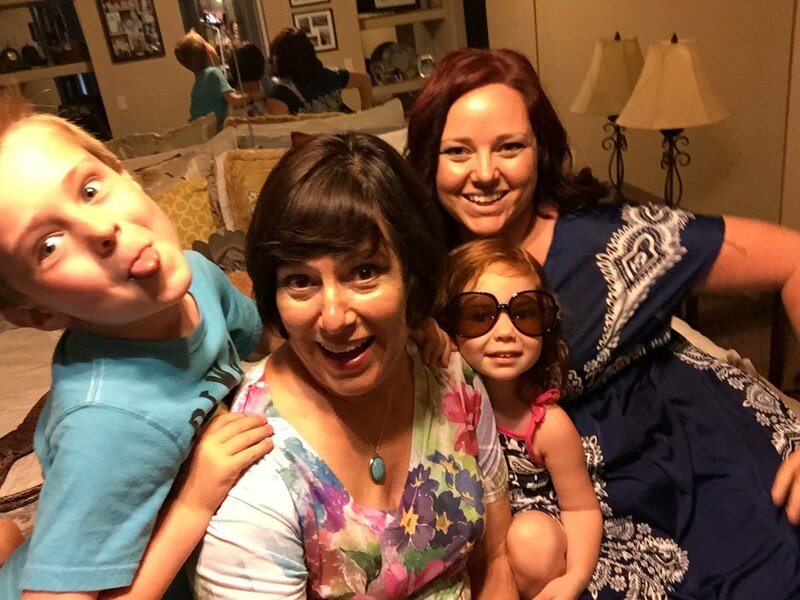 Living in the Now with my friends and family. 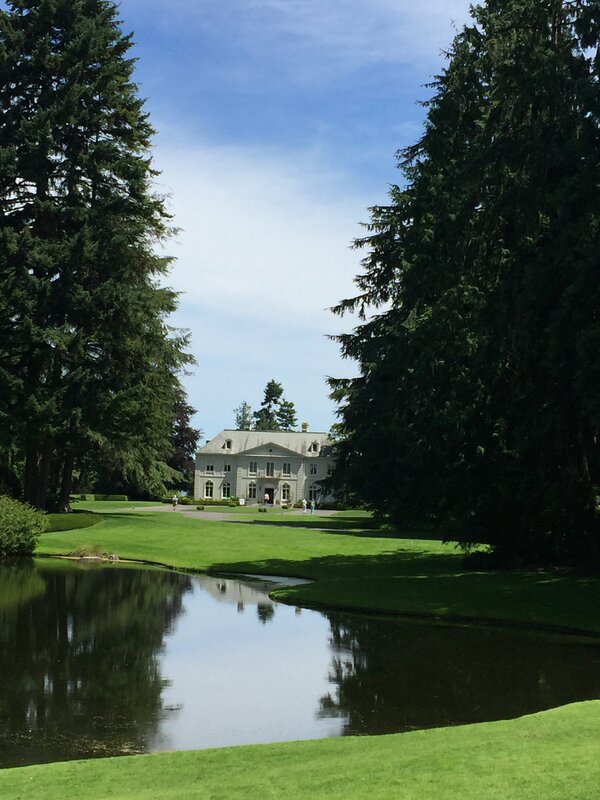 I had a grand weekend in Bainbridge Island, WA. 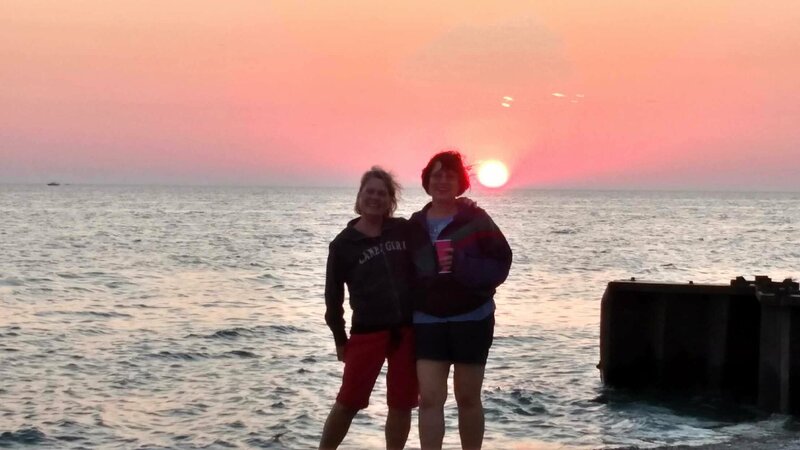 Saw fantastic sunsets over Lake Michigan. I had no idea Michigan is such a beautiful state! Settled into Missouri with my older daughter and her family. Six-year-old Will and three-year-old Gracie kept me hopping’ all summer. Dinosaurs, mine craft, Disney princesses, play dough, swim parties. And then there were my new animal friends– five outdoor cats, a family of raccoons, and the birds of prey circling overhead. Teaching Will to read inspired a new series of children’s books. Nina’s Kids. Some people knit. I compose books. Using my family archive of photos, Nina’s Kids books are designed to offer the beginning reader a successful reading experience. Learning to read can be painful. Nina’s Kids are digital books to download onto phones and ebook readers. They make reading fun. I invite you to check them out for the children in your life. I have a lot of pent up blogging bubbling inside me, so I hope you will enjoy upcoming reviews, insights, and information I think worthy of passing on. Mostly I hope you had a happy summer and are looking forward to a fabulous fall. Part of “Supernal Living” is developing a conscious spiritual connection to manifest the life you want to live. Life doesn’t just happen. It is created by our thoughts, intentions, and choices. It is influenced on many levels, both physical and spiritual. Learning how to connect with your spiritual partners and develop those partnerships can break old patterns and result in amazing changes of circumstances. “Supernal Living” means learning that you’re not alone and consciously co-creating with Spirit your life, day by day. Esther Hicks/Abraham talks about “segment intending,” to consciously plan positive outcomes for every part of the day. The structure of asking for “Most Benevolent Outcomes,” simplifies the concept of segment intending. 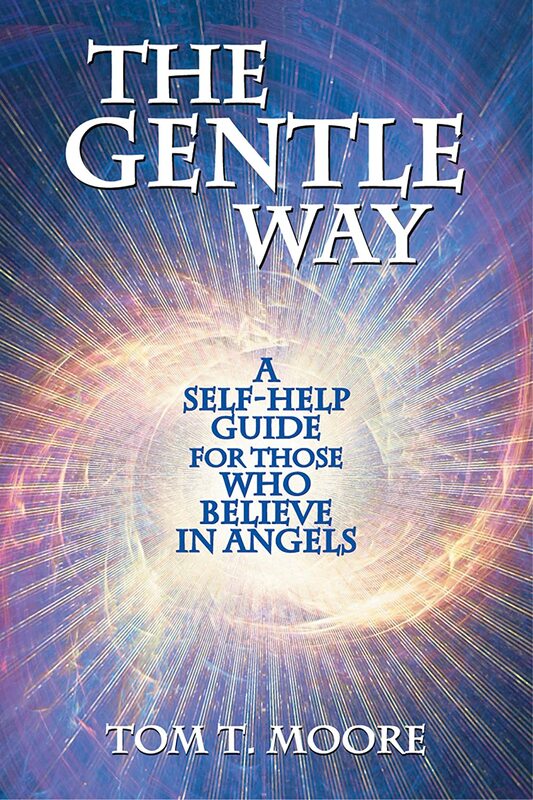 The Gentle Way is easy reading, perhaps lacking in spiritual depth, but certainly giving many examples for taking charge of your life and connecting with your spiritual team. If you’re looking for something with a little more meat on its bones, Wayne Dyer’s Wishes Fulfilled: Mastering the Art of Manifesting pulls in several philosophies along with Dyer’s life experience to illustrate how to “change your thinking, change your life.” Much of manifesting deals with visualizing events as you want them to go. If The Gentle Way illustrates how to approach the small moments of daily living, Wishes Fulfilled takes on the bigger challenges like careers and relationships. All Dyer’s books reflect where he is in life at the point he is writing the manuscript. During the period he wrote this one, he was dealing with a diagnosis of leukemia and met Mira Kelley, a past life regressionist. The book digresses from manifestation into his experience with healer John of God and his sessions with Mira Kelley. For me, those were the most interesting parts of the book–not to mention the pictures of orbs that have started appearing in photographs taken of Dyer, especially at speaking engagements. But the subjects of orbs is for another post. If you’re looking for a solid book on manifesting positive outcomes, Wishes Fulfilled is a good place to start. Here’s hoping you manifest many benevolent outcomes! A couple of weeks ago I was in the doldrums, caught in the grips of “stinkin’ thinkin’, as Zig Ziglar used to say. Getting nowhere fast and seeing my glass half-empty. 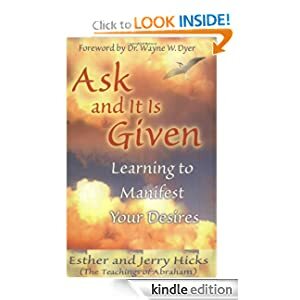 I recalled the words of another guru, Wayne Dyer–“Change your thinking, change your life.” So, I trolled the Kindle spiritual books page and happened upon Ask and It Shall Be Given: Learning to Manifest by Esther & Jerry Hicks. Originally published in 2004, I’d heard the CD version, but never read the book. It is channeled material via a group of souls called Abraham, which elicits a scary boogey-man reaction from many people. Or as my husband calls it, “a lot of bu**%t.” However, living a Supernal Life makes such things no big deal whatsoever. It’s the information that is important. Is it worth considering? Ask and It Shall Be Given has influenced the thinking and lexicon of the past decade. The Law of Attraction has become an industry in itself. 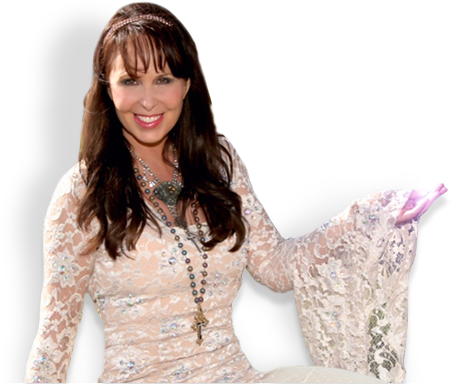 Rhonda Byrne turned soundbites into The Secret, which is still a New Age top seller. Phrases like The Art of Allowing, Vibrational Set-Point, and Overwhelment created a whole Abrahamic vocabulary to illustrate the Law of Attraction. Simplified it means, the thoughts you project out bring in the events of your life. Or, we all create our own reality. Yeah, yeah, yeah you say. But, if you take the time to read the book, you’ll see yourself reflected. At least, I did. It has given me some tools to transform my stinkin’ thinkin’ into a Rampage of Appreciation. And, guess what? Better things have been coming my way. 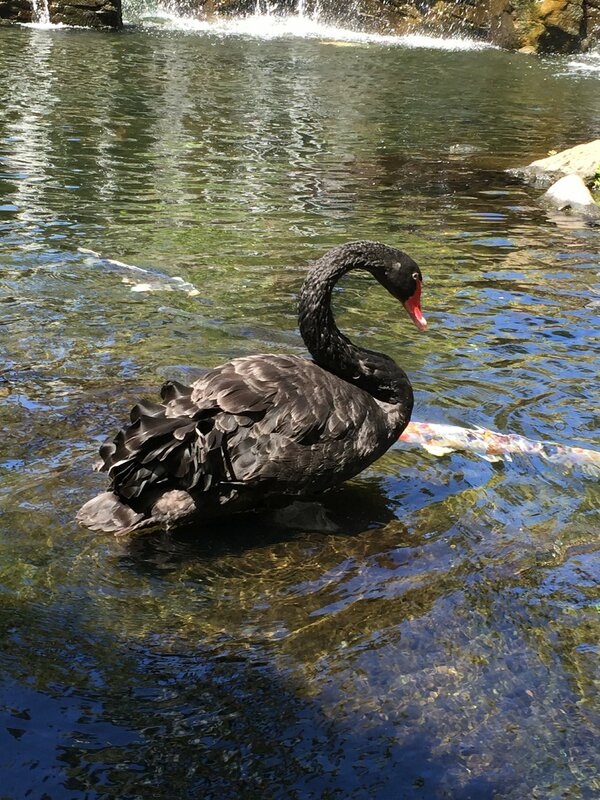 I received two calls “out of the blue” this week to improve situations that seemed dismal. Positive reviews have popped up about my books. Coincidence? I think not. Globally, it seems to me there is epidemic “stinkin’ thinkin.” The stock market plunges on fear. The more everyone fears, the more it plunges. Companies don’t hire because they are afraid of the future. People are paralyzed in their fear. If you want to break out of that pack you might consider turning off your TV and turning the pages of Ask and It Shall Be Given. The subtitle of is Learning to Manifest Your Desires. My Supernal friend, Sue, had an interesting realization about the subject. Listen in her own words on the latest pod cast at Supernal Friends on the Hello from Heaven Radio page. We named the episode “Sue’s Manifesting Epiphany.” She also talks about her increasing talent of clairaudience. Pretting interesting stuff!